Colic.. As a horse owner this is probably the worse case scenario for our horses. It is estimated that 90% of horse owners can’t stop the early signs of colic. Most owners can recognise classic signs of colic, such as a horse rolling a lot, but there are several subtle signs that can be easily missed. Spotting these early means faster treatment for your horse, and a better prognosis and outcome. 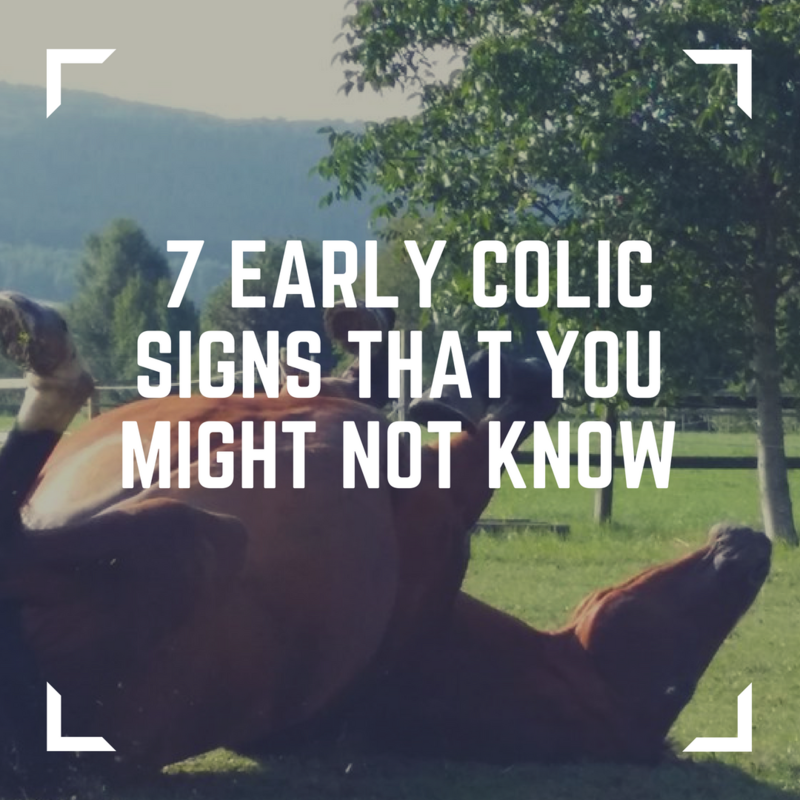 Think of colic signs as a jigsaw puzzle, one sign on its own doesn't definitely mean your horse has colic but putting a few together certainly means speaking to your vet. Knowing what is normal for your horse is so important. If you have the type of horse who is always rushing between the door and the haynet then this might not be a cause for concern. However your horse being unsettled or restless should not be dismissed, as this could be a sign of colic which is easy to miss. This does depend on what is normal for your horse, but the vast majority of horses do finish all their feeds up. If your horse hasn’t eaten, or has left half of its dinner this is worth noting. What other signs can you spot? You’re mucking out before work, you’re in a hurry it’s easy to think "oh not so much poo today, I’ll muck out again later it must be buried." Whilst that might be the case alarm bells should be ringing if you find that your horse has passed less droppings. Your horse just seeming a bit off and looking very quite could be a sign of colic, and shouldn't be dismissed. This can be easily explained away as being due to a change of paddock, or new grass but it might be colic.